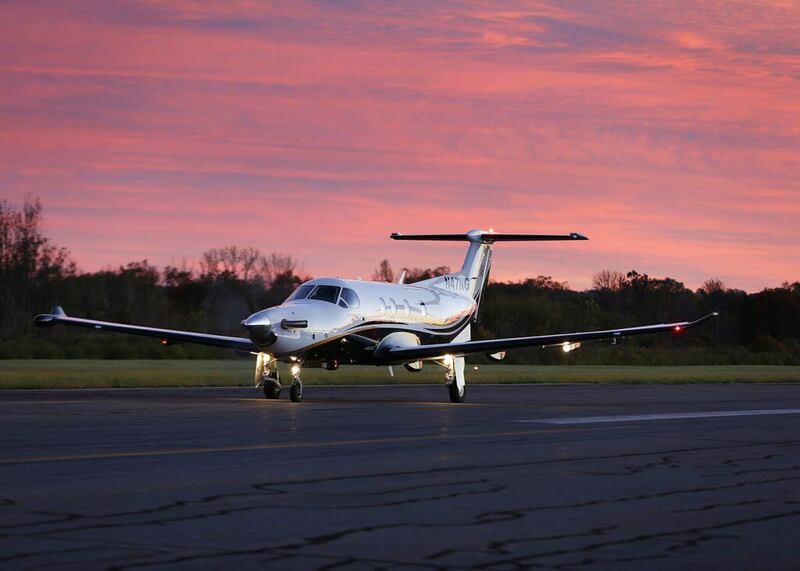 Oriens Aviation, the British Isles sales distributor of the Pilatus PC-12 is delighted to confirm the sale of a new PC-12NG, newly registered G-NBCA, to a private customer. He thanked Guernsey, Channel Islands based Ocean Skies for arranging the paperwork and customs clearance and the UK Civil Aviation Authority for their swift support regarding the G-registration work. Happily accepting the aircraft, Neil Armstrong, entrepreneur owner of Armstrong Group Holdings, acknowledged he had conducted a lot of due diligence on other aircraft types and took several demo flights before determining the PC-12 as best for his business and leisure needs. “It was the only one that ticked all the boxes. It is versatile, robust and can land on grass, gravel and even snow. It is impressively economic, with £150 per hour fuel costs and has excellent avionics. The low depreciation rate was a major factor too.” The aircraft will be based at Leeds Bradford, near to the family’s home in North Yorkshire. Neil Armstrong anticipates he will fly up to 200 hours a year for his business interests – in housing, oil and gas and utilities, and for leisure. He has interests in Jersey, the west of Ireland and Mallorca, which all suit the PC-12’s flying range. “Time is of the essence in my business. If you are marching, you’re not fighting, so this great aircraft is going to be a productive tool for the business, and it will provide us with some great family occasions too,” he said. Neil’s two sons (10 and 12) and his wife Brid, who helped influence the very stylish interior, featuring white, grey and blue hues, are all looking forward to flying in the aircraft. They were all at Goodwood to enjoy the motor racing displays and participate at the delivery and flew the aircraft home on Sunday. As well as ratifying the sale on behalf of Pilatus, Oriens helped in the recruitment of pilots for the aircraft. “We expect to use two pilots on the longer flights,” Neil confirmed. Goodwood Aerodrome, part of the Goodwood Estate, is a firm proponent of the PC-12 and is investing in a dedicated service facility for line support. Both of the Aerodrome’s prominent runways have been completely regraded with an extensive drainage system to support year-round utilisation. The new Aerodrome building represents a significant investment and will be used as a base for club members, visiting pilots, the public and the Goodwood Flying School. With a price tag of US4.95 million, it can be a business aircraft / an air ambulance (able to convert inside an hour) a cargo aircraft and everything in between. The aircraft has operated in the Arctic Circle, the African Plains and is a regular stable with Australia’s time crucial Flying Doctors. Its reputable single engine P&WC PT6 turbine is a legendary workhorse.